If you operate an ecommerce store, your business’s success relies on attracting qualified traffic to your site. So how do you get customers to visit your site and make a purchase? On this page, we’ll take a look at some top ecommerce marketing strategies and how you can use them to reach potential customers and increase your revenue. Keep reading if you want to learn more, and give us a call at 888-601-5359. Want to market your ecommerce business online? Let’s get started by looking at a few tips to help you spice up your ecommerce marketing strategy. Search engine optimization (SEO) helps your site appear in top spots when people search for keywords related to your products in search engines like Google. Attracting customers is the first step to generating revenue, and today, most online shoppers find the products they want with search engines. In order to attract these shoppers, your site needs to rank well in the results they see. Ecommerce SEO plans from WebFX can help your ecommerce store attract relevant, highly qualified traffic to your online store from search engines. We’ll help you identify the words and phrases people search to find your business, then incorporate them throughout your site to attract and convert more customers. Writing and publishing unique, helpful content can help more people find your business and learn about your products. And personalizing your content allows potential customers to connect with your brand. For example, if a customer has purchased something from you in the past, you can highlight and suggest similar products or accessories that go with their original purchase. Tailoring your communication based on customers’ needs and preferences shows that you care and encourages them to purchase. Sites like Amazon and Etsy do a great job of personalizing their site content, and they display related content that visitors might be interested in based on their behavior on the sites. Creating and publishing content on a consistent basis is hard work, but fortunately, your customers can help. Consider involving your customers in your content marketing strategy by sharing user generated content — content created by your customers and made publicly available. The ROI in ads that contain user generated content (UGC) is higher than brand-only content ads because people naturally tend to trust other consumers over branded ads. Adding UGC on product pages can help you boost sales. You can also share UGC on your social media channels, and add shoppable links directly to posts to encourage people to shop your site. With A/B testing, you can compare different versions of a website or process to see which leads to more conversions. A/B testing your checkout process allows you to determine the types of buttons, calls to action, and words that convince people to buy. By running A/B tests through the checkout process, you can identify gaps in your conversion funnel that cause people to abandon their carts and leave your site without buying. Do you receive more purchases from guest or member checkouts? Does the way you present coupon code fields impact the number of purchases? Should you implement a single or multi-page checkout process? A/B tests can help you answer these questions and increase conversions on your ecommerce site. Email marketing is a great way to stay in contact with customers, send helpful information, and encourage them to return to your site and make a purchase. You can send updates about new products they may be interested in based on previous purchase behavior, as well as any sales or promotions you’re running. You can automate your email marketing to streamline your communication and present a clear brand message. For instance, if someone enters their email address to download a guide from your website, you can set up email drip campaigns to automatically send additional information and resources related to the topic of the download. Social commerce allows customers to browse and buy directly from brands on social media. This means that you can add shoppable links to your social media posts that allow people to purchase items featured on your social platforms. Pinterest is arguably the most popular social commerce site, but sites like Facebook and Instagram can also help you drive sales and encourage people to purchase. In addition to increasing sales, this also encourages social sharing. If people like your brand and they are happy with their shopping experience, they will be more likely to share your posts and recommend your site to friends and family. Did you know that 96% of people leave a website without purchasing? Ecommerce retargeting helps you reach website visitors who display an interest in your products and services but don’t immediately make a purchase. For example, if someone enters their email address on your site and leaves without making a purchase, you can trigger personalized emails to remind them of products they viewed or items they placed in their carts. You can use clear calls to action and promotional offers to encourage people to come back to your site and complete a transaction. In addition, you can set up remarketing via Google AdWords. If you already advertise on Google, all you have to do is add a piece of remarketing code to pages on your website. The remarketing code tags visitors through browser cookies, and allows you to show ads to people who have already visited your website. Since retargeting allows you to focus on people who are interested in your brand, it can help you maximize your advertising budget and earn more revenue. Word of mouth is the most powerful form of advertising, and including reviews on your website can encourage people to purchase. For example, you can send automated emails after each order is delivered and ask customers to review items they purchased. Displaying this information on your site can be the extra boost potential customers need to buy. In fact, Internet Retailer estimates that you can increase ecommerce conversion rates by 14-76% by adding product reviews to your site. Many people use their smartphones to browse and make purchases on the go. This means that if your ecommerce site isn’t optimized for mobile, you could be missing out on customers and sales. The best way to avoid this issue is by using responsive design. A responsive site adapts to all browsers and screen sizes, meaning that your website will look and perform great across all devices and platforms like smartphones and tablets. WebFX offers a number of ecommerce marketing plans to help your business attract more customers and earn more revenue. If you’re looking to attract more targeted traffic to your online store from search engines, our ecommerce SEO plans may be the right choice for your business. We’ll start by identifying the keywords and phrases people search online to find your products. Then, we’ll help you implement those keywords in relevant places on your website, like your body copy, page titles, meta descriptions, and product descriptions. We’ll also work with you to optimize your product pages and create helpful copy that encourages shoppers to learn more and ultimately purchase from your store. Finally, we’ll ensure that your ecommerce website is easy to navigate so that people can easily find the information they need to buy. At WebFX, our developers work with ecommerce clients to design and implement solutions that help them their ecommerce stores quickly and efficiently. Using platforms like Magento, we can help you create unique store management tools, frequent shopper programs, discounted pricing, special product availability, catalog management, secure transactions (with SSL), inventory tracking, CRM integration, and app development. 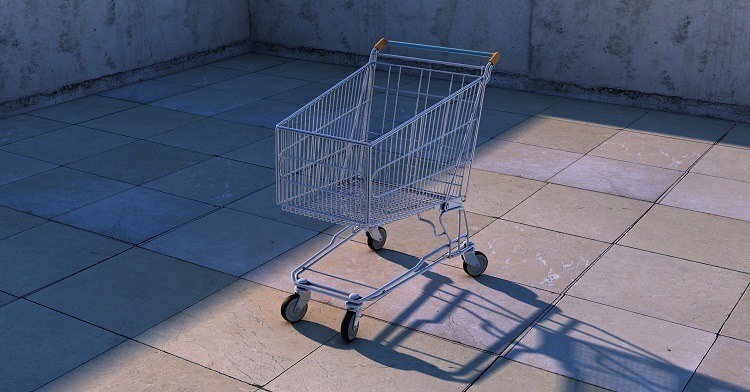 We’ll also help you design shopping carts and checkout processes that lead to more conversions. Ecommerce retargeting plans from WebFX help you connect with people who have displayed an interest in your business but didn’t immediately convert. Using browser cookies, you can track when people visit your website and remind them of your business as they browse the web at a later time. In addition, when people enter their email addresses on your site and leave before making a purchase, you can send custom emails to remind them of products they viewed and items they placed in their cart. Our ecommerce retargeting plans include audience targeting strategy and setup, personalized email design, campaign management and optimization, and ongoing monthly reporting. If you’re looking to maximize your advertising budget and reach more qualified customers, ecommerce retargeting is a great option. At WebFX, our expert web designers, developers, strategists, and Internet marketers collaborate to create engaging, profitable ecommerce websites. Our ecommerce sites display properly on all devices using responsive, mobile-friendly design, so when you partner with us, customers will be able to access your site any time – even on the go. We also believe in transparent pricing, and we publish our ecommerce marketing rates online to help you evaluate your options and select the plan that’s right for your business. We’re committed to the success of our clients, and we’ll go above and beyond to help your ecommerce site succeed. We also have years of experience, and a portfolio that highlights the results we’ve achieved. For example, in just 90 days, we increased website traffic by 102% for ecommerce store Ceramcor, and as a result, increased their revenue by 41%. You can also check out our testimonials to hear what clients have to say, and learn more about what you can expect when you partner with WebFX. Ready to grow your ecommerce business? Want to learn more about how ecommerce plans from WebFX can help grow your online business? Check out our custom quote calculator, and contact us today to speak with a strategist.